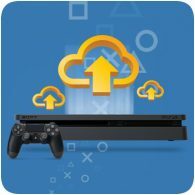 Following the PlayStation Plus line-up reveal, Sony has also announced that it will be increasing the cloud storage available to subscribers from 10GB to 100GB in early February. PlayStation Plus will no longer be offering PS3 and PS Vita games in the monthly updates after the February 2019 line-up, so increasing the cloud storage space is an obvious way to add extra value to PlayStation Plus. Still, losing four games a month will be hard to justify with some gamers, even with the increase in cloud storage space. So lets home Sony has other plans to make PlayStation Plus value for money. Even adding an additional PS4 game to the line-up (to make it three games per month) would be a decent compromise.